A flywheel is a rotating mechanical device that is used to store energy. Energy is transferred to a flywheel by applying torque to it, thereby increasing its rotational speed, and hence its stored energy. Conversely, a flywheel releases stored energy by decreasing its rotational speed. 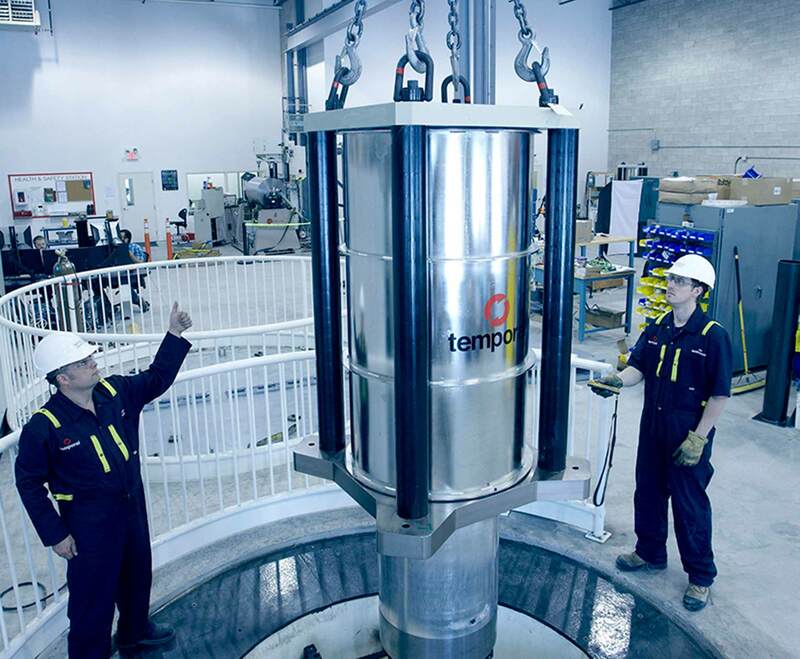 Flywheel energy storage systems are long-lasting, low-maintenance, and environmentally-sound alternatives to batteries in uninterruptible power supply systems. A prerequisite for long-lasting optimal performance in flywheels is minimized friction. High performance bearings are used in flywheels for efficiency, to reduce wear and to facilitate extended use at high speeds. However, worn bearings can have a significantly negative impact on flywheel performance and longevity, so it is essential to monitor the state of the bearing. Measuring the temperature is the preferred way to detect overheating and premature bearing failure. Since the bearing’s critical components are rotating, its temperature can only be measured by use of a non-contact, infrared temperature sensor. Given the compact design of the bearing there is not much space available to position the sensor, so a small sensor is required. To reduce friction, the flywheel and bearing are placed in a vacuum. 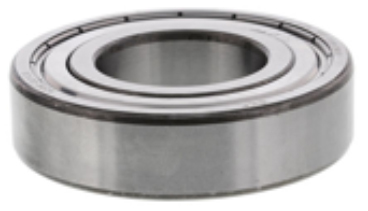 The sensor solution should be able to perform in vacuum conditions, and be allowed to be placed inside the bearing cavity without disrupting the vacuum. Since energy supply and demand increases and decreases rapidly in a flywheel energy system, a temperature sensor that can respond rapidly is needed. Exergen’s non contact Micro IRt/c sensors are the smallest sensors available on the market and are ideally suited to measure rotating components in confined spaces. The IRt/c is hermetically sealed and exceeds NEMA 4X, IP67 – meaning that they can be used in harsh environments, including applications performed in a vacuum.